Since my family is visiting me this week, I took them on a drive through the Colorado National Monument this afternoon and we stopped at the Visitor’s Center while we were up there. 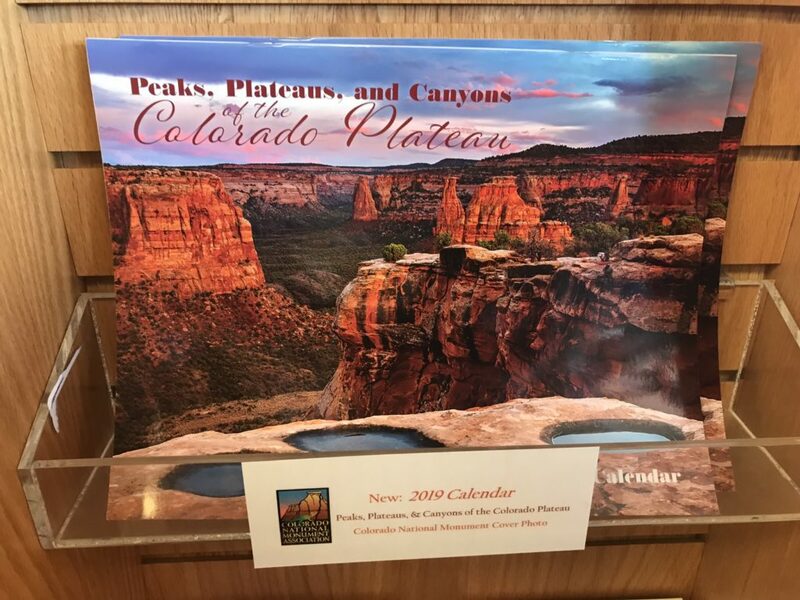 As we were walking around the Gift Shop I was a little surprised to see one of my photos of the cover of the 2019 Peaks, Plateaus and Canyons of the Colorado Plateau Calendar. While I have had my photos on the cover of this calendar in the past, I did not know one was being used in next years edition.